Michael Klahr Jewish Family Services and the Goldman Family Preschool are excited to announce the launch of a new program for working parents! Karli Efron and Kelley Newkirk, both KJFS staff members, will be hosting a monthly support group for working parents to come together, connect and communicate with one another. Parenting, whether one stays at home, works full-time, has a partner or does it on their own, is a demanding, exhausting, and challenging job. Karli and Kelley would like to offer a place where parents can share their challenges, gain confidence in their choices and feel supported in their lives. 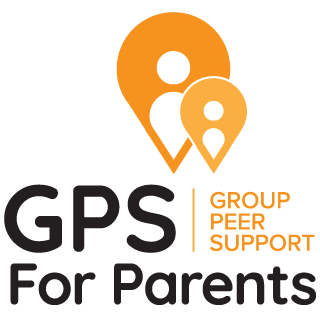 This program is based on the Group Peer Support (GPS) for Parents model, which incorporates mindfulness along with evidence-based therapeutic modalities. The GPS model has been used in practice for twenty years, and Karli and Kelley are both certified practitioners. We would like to invite the parents of the Goldman Family Preschool to participate in this FREE monthly Parent Support Group session. Topics to be covered could include: self-care, parenting guilt, work-family balance, transitions (e.g. returning to work, new siblings, moving on from preschool to kindergarten), and other topics as needed. Parent Support Group will meet in the JCA Board Room on the following evenings, and it is our hope that you would plan to attend most if not all the sessions. Onsite childcare will be provided for a nominal fee of $5/child. Childcare is non-refundable and must be reserved and paid for a week in advance of attendance. Please RSVP to Kelley Newkirk at knewkirk@mainejewish.org or leave a message at 207-772-1959 ext. 305. If you have questions, then please email, call or just stop by the food pantry to check in with Karli or Kelley. Please join Michael Klahr Jewish Family Services and Heart to Heart Peer support for parents grieving the loss of a pregnancy or infant. This is a safe space for parents at any stage in the grieving process – having lost in the last week, month, year, or decade. We’ve been through it and we’re here for you.